Let this fun Personalized Sweatshirt for Her become a wonderful gift that she receives on Mother's Day or her birthday. Mom, Grandma, Granny or Nana will enjoy wearing this Sweatshirt that shows off all of her children. 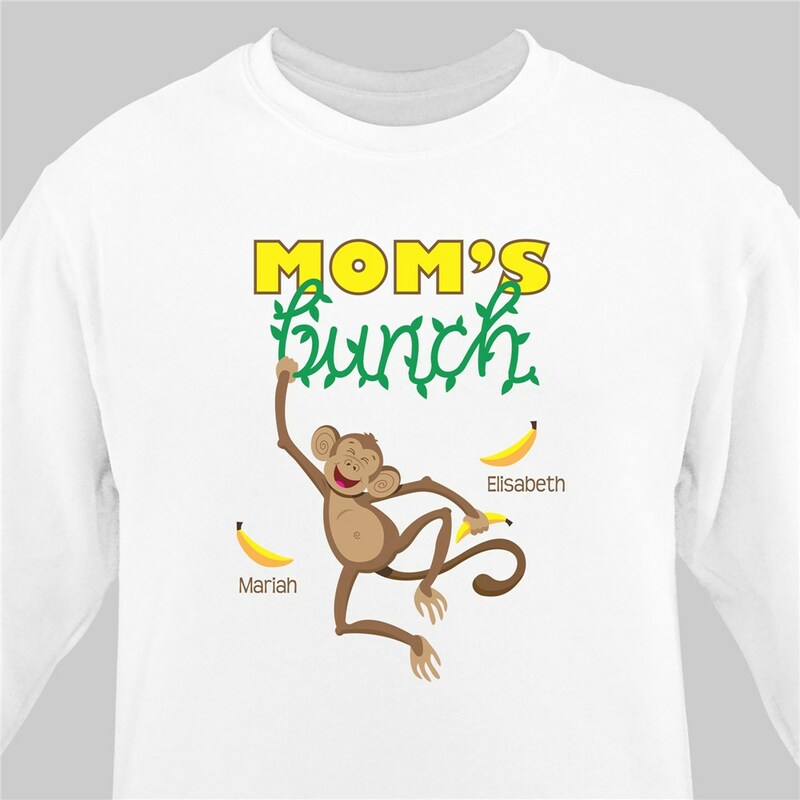 This Personalized Monkey Bunch Sweatshirt is great for Mom or Grandma and is available on our premium white, pink & ash gray, 50/50 cotton/poly blend Sweatshirt, machine washable in unisex sizes S-3XL. This Sweatshirt for Her includes FREE Personalization! We will personalize this Sweatshirt with any title that you prefer, such as Grandma's Nana's, Mom's Mommy's, etc., and up to 30 names of your children or grandchildren.. Very pleased with the quality of the sweatshirt. Great prices too! Make this Personalized Sweatshirt a fantastic Personalized Mother's Day Gift Idea. Mom, Grandma or any special woman in your life is sure to always cherish a sweatshirt that was made just for her. This great design is also available on our Personalized Monkey Bunch T-Shirt & our Personalized Monkey Bunch Coffee Mug Tote Bag as well.